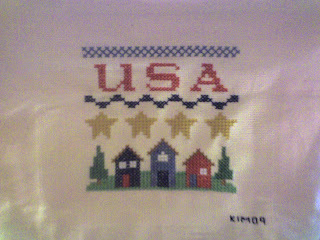 This is a finish for a 4th of July exchange with the St. Louis Stitchers. We are to mail it by June 1. For a change, I'm finished early..lol! Since I can stitch but not finish, I did this one on a tote bag. It is USA squared by Lizzie Kate. I did it over 2 which makes it done on 9 count. I hope my partner likes it. Now back to the serenity prayer! 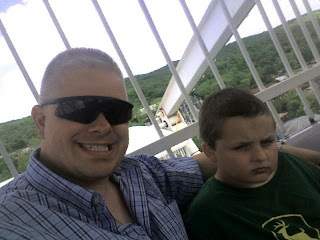 Today Matthew and Frank are at Six Flags for Hazelwood school day. Frank took this picture and just forwarded it to me. It amazes me how much they look alike!